The glass and stone combination of Splashback's 12 in. x 12 in. Loft Khaki Polished 3 in. x 6 in. 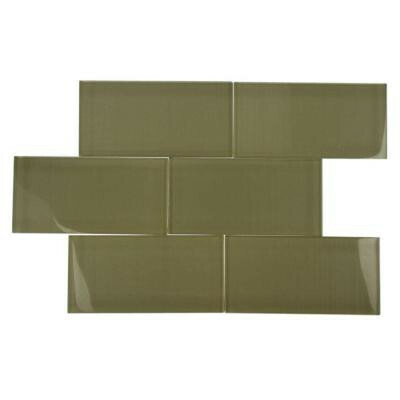 Glass Tiles create a beautifully multi-dimensionally effect. It is great to install in kitchen backsplashes, bathrooms, and any decorated spot in your home. Splashback tiles add a new dynamic and beauty to your home. Install yours today. You can buy this product in our internet market. We will be glad if you make the right choice. 1 square foot, 1 piece per case. Case weight is 3 lb.